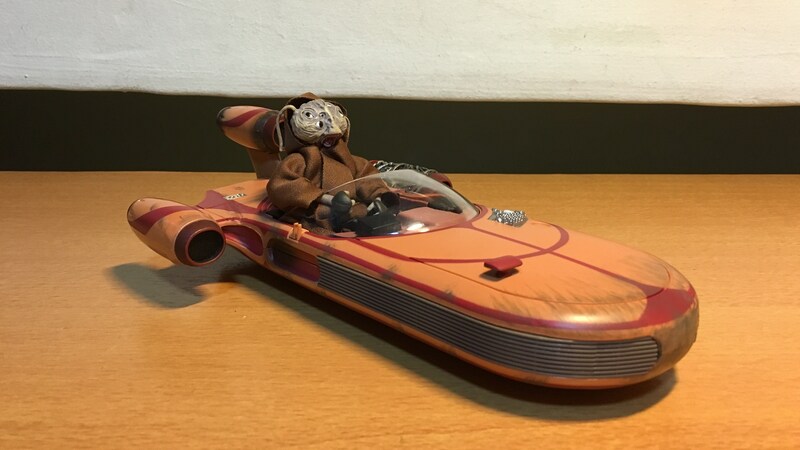 Hi world, I’m showcasing a truly awesome Star Wars item that I have recently acquired – Luke’s Landspeeder! 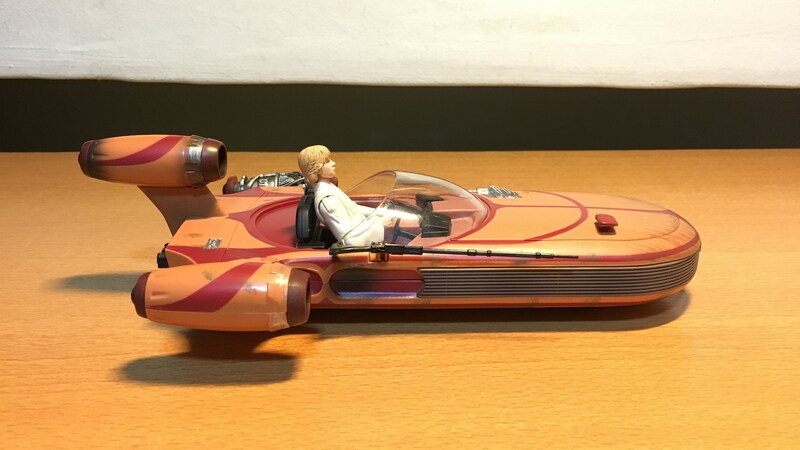 Luke Skywalker owns a X-34 Landspeeder, which has three air-cooled thrust turbines. Luke’s landspeeder is missing its portside turbine cowling. Luke’s landspeeder may be old and battered, but Luke keeps his landspeeder in good working order with tinkering and careful maintenance. 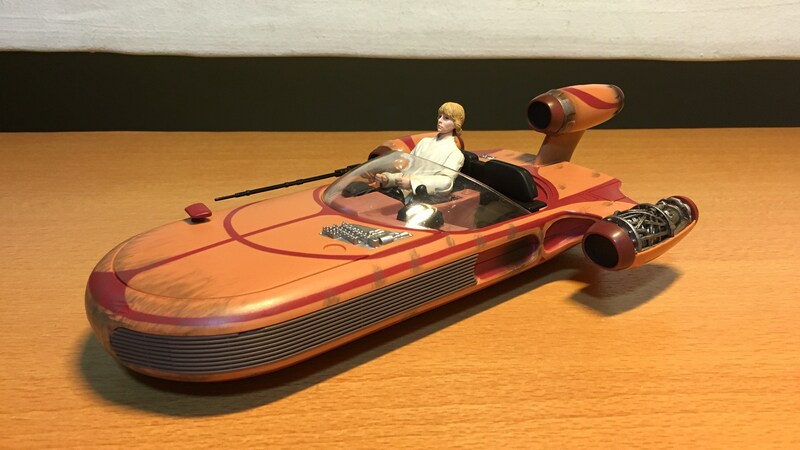 An external fixture allows Luke to store his rifle on the landspeeder’s starboard side. After Luke learns of his father’s past as a Jedi knight from Obi-Wan Kenobi, and when the Empire murders Luke’s uncle and aunt, Luke decides to pursue the Jedi path. 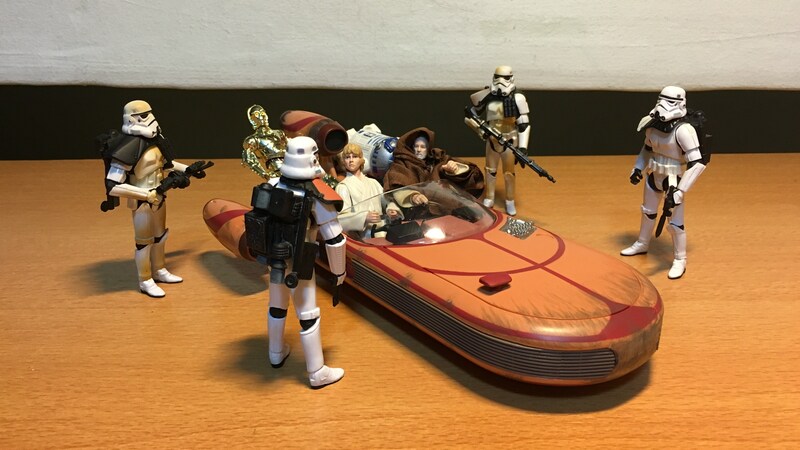 Luke and Obi-wan, together with the droids R2-D2 and C-3PO, travel Mos Eisley to procure transport to Alderaan, where upon their arrival a group of Sandtroopers inspects them. Obi-Wan manages to procure passage aboard a Corellian freighter, but to pay for the upfront fee Luke will have to sell his landspeeder, which Luke readily agrees to do so, having decided that he’s never coming back to this planet again. 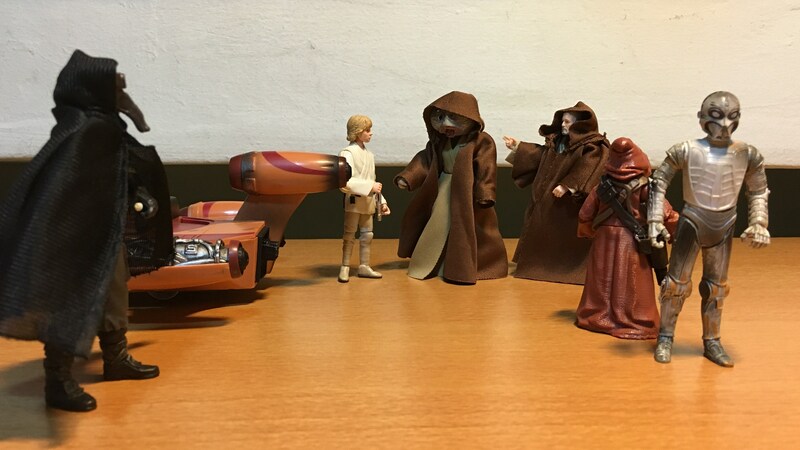 Luke accepts an offer of 2,000 credits from Wioslea for the landspeeder. Wioslea remains blissfully unaware that Obi-Wan had performed a Jedi mind trick on her, leading her to pay much more than the landspeeder was worth. As far as Wioslea was concerned, she only wants to go for her joyride.